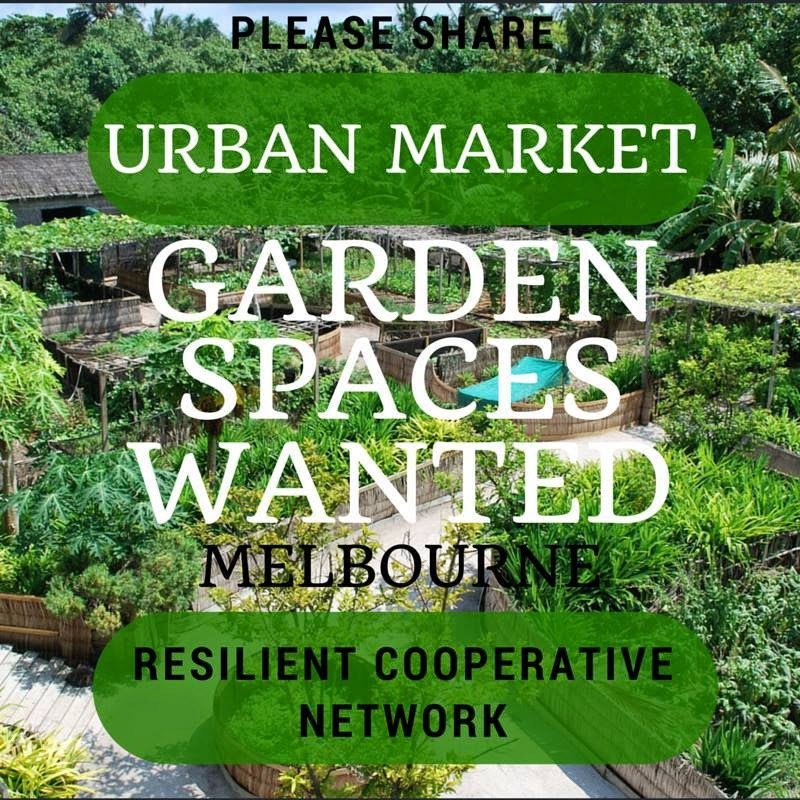 Kaye Roberts-Palmer is a local Garden Design Consultant running a series of informal gardening talks for Moreland and Darebin communities with the purpose of encouraging people to become better gardeners no matter what size of garden or skill level. Yes you can have an attractive garden that’s also pet friendly! This talk covers design styles and tips to help create a harmonious garden space for all of your family including the furry ones. Topics covered include plants to encourage and plants to avoid, gardening surfaces and features and developing robust spaces that can work with your pets, while maintaining your own outdoor spaces. Did you know there are a multitude of good bugs that can take some of the work out of gardening? This talk looks at the world in miniature and some of the weird and wonderful creatures that have made your garden their home. Topics covered include insect identification, how to encourage the good insects to stay, using insects to help keep pests and diseases in check, organic pest controls, and practices to avoid. A happy healthy garden is crowded. Learn how to invite the nice ones back! Do you have a tricky area in the garden that has either too much sun or too much shade? Not sure how to make the best plant choices for those areas? This talk covers top essential plants for those shady and sunny areas and the effects of soils and seasons on your garden plants. It also provides helpful tips on successful planting to give your specimens a great start. Come celebrate and give thanks to the good earth, our farmers and the cycle of the seasons at the CERES 2015 Harvest Festival on Saturday 21st March. Everyone is welcome! CERES Harvest Festival offers a range of entertainment with live music, performance, free workshops, animal displays, cake baking competition, a community feast and kids activities. All this alongside food and craft stalls from our most loved local merchants. Bring your whole family for the Harvest Festival celebrations. Attention all hard-working home gardeners and aspiring home chefs. Come and join us for some friendly community competition. We've expanded our famous cake competition (judged by Betty Burgess from the Country Women's Association), to include home produce and preserves. Our expert judges will select the best of the best cakes, slices, biscuits, home grown produce and preserves across all nine categories with great prizes for all winners. Slices of all cakes will be available to buy on the day. More information on how to enter is coming, check the website for details. Entry: $5. Kids are free. A little bit of country right here in the city. 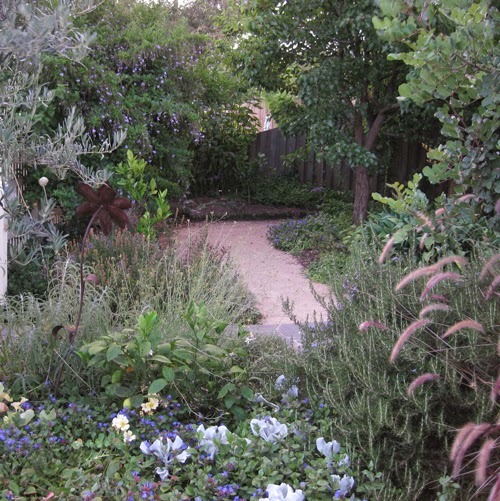 This weekend 21 and 22 Feb it's well worth a visit to Gunyah, Karen Sutherland's residential edible garden in Pascoe Vale. It boasts 200 or more edible and useful plants in an ornamental setting including bush foods and herbs (e.g. Lemon Myrtle, Native Pepper, Saltbushes), South American fruits (e.g. Avocado, Babaco), rooftop beehives and garden, nature strip planting, wall gardens, aquaponics system and chickens. 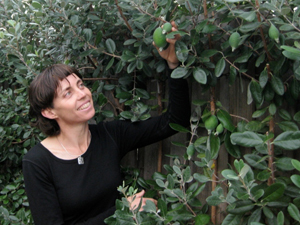 Karen will give free talks on native herbs, bush foods and perennial vegetables at 11am, 1pm and 3pm each day as well as regular guided tours of garden. There'll be refreshments with ingredients from the garden made by the lovely folk from the West Brunswick Community Garden, who will be there to welcome you and take your admission money at the gate (adults $8, free for under 18’s) with part of the proceeds helping fund their work. Come along and talk to them about getting involved in community gardening. With the Open Garden scheme winding up this year, it might be a while before the garden is open for viewing again. Hope to see you there! OPEN • Open 10am-4.30pm Sat 21 & Sun 22 Feb.